Redeeming The Time, , Gotta Minute? 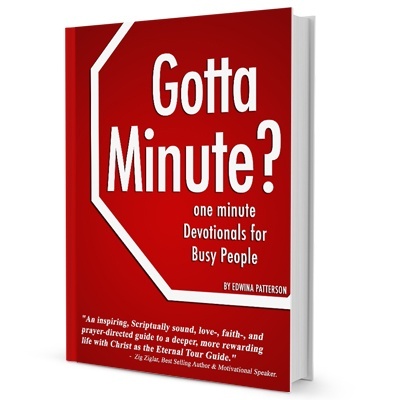 Home → Redeeming The Time Online Store → Gotta Minute? If you're tired of muddling along on your own, if you genuinely desire to be guided daily by the Lord and live in the peace that He gives, then you must decide to spend time alone with God each morning. 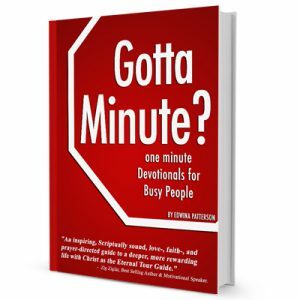 Edwina's devotionals are designed for busy people on the run. Not only can they be read in one minute, but they also help up jump start the day and place your focus on the One who controls time. Zig Ziglar, Best Selling Author and Motivational Speaker.